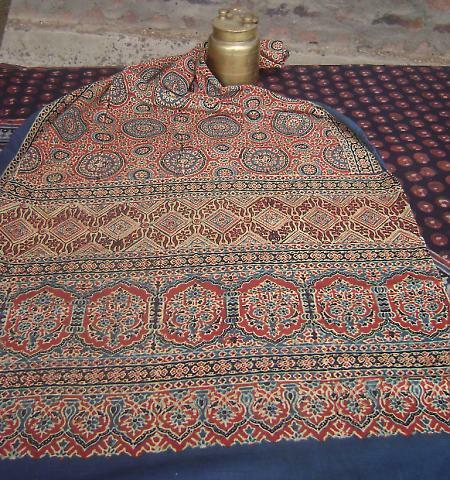 The Ajrak resist-printing technique is found in Anjar and Dhamadka in Kutch. The painted Ajrak cloth has colours - blue, red, black and white, in several patterns --- resembling those found at Fostat. The printed red and block odhnis of Anjar carry motifs similar to those found on old pottery and stone carvings.